Copper is such a hot color for home decor, we couldn’t help but use it in our Fall decor this year. We love that these three different techniques don’t scream “Halloween” and can be kept around through Thanksgiving. 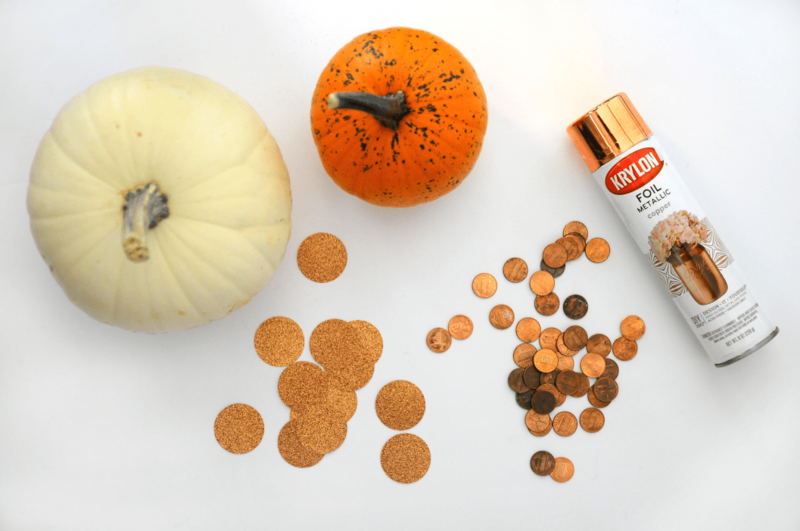 Here’s how you can copper-ify your own pumpkins at home! is GORGEOUS, we might be spraying everything in sight with the rest of this can. Simply spray the pumpkin and let it dry! 2. Penny Scallops. Our boys are definitely seeing the magic of money as they get older. Counting, stacking, collecting, spending is all becoming more intriguing to them. 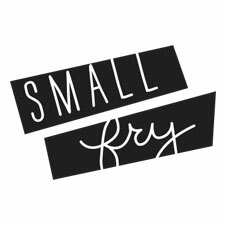 So this one is a fun project to do with kids. All you need is a dab of glue and cover that pumpkin away! 3. The last technique is similar to the penny’s but with glitter paper! 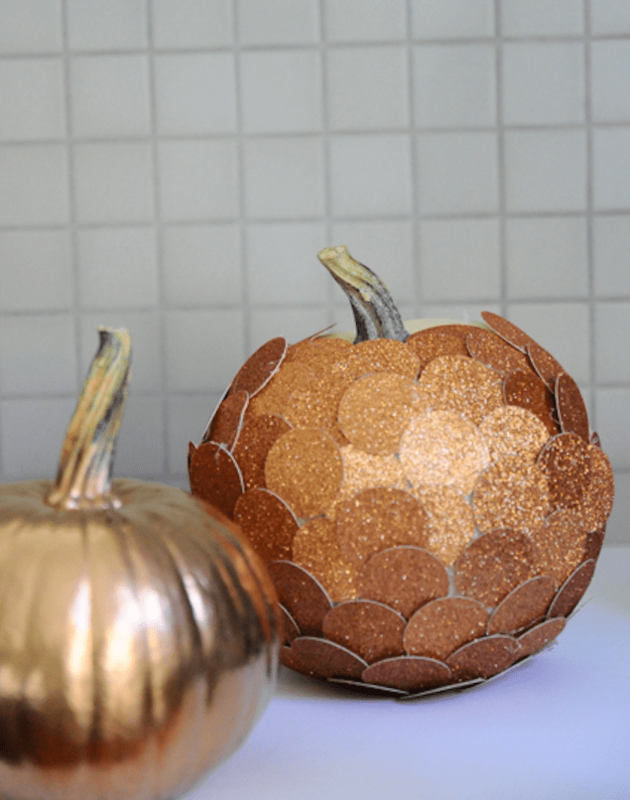 All you need for this one is a Circle Punch, Copper Metallic glitter paper, and glue! Glue the middles of the circles, then layer them upward to the base of the stem. Having the circle sort of lifting off the pumpkin gives it that cool 3D effect and we love how this one turned out! 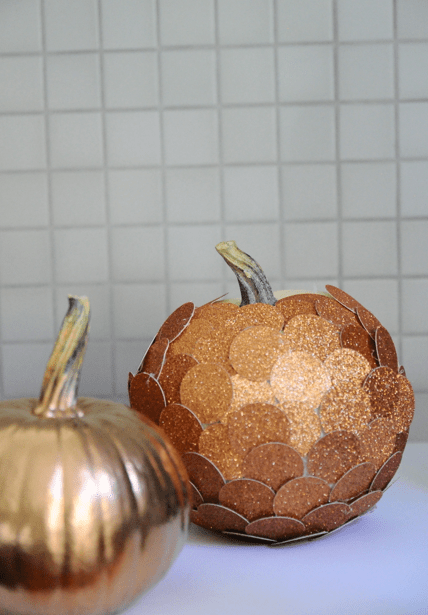 Today’s copper pumpkin post is part of our last (tear!) color challenge of the year with our friends below! 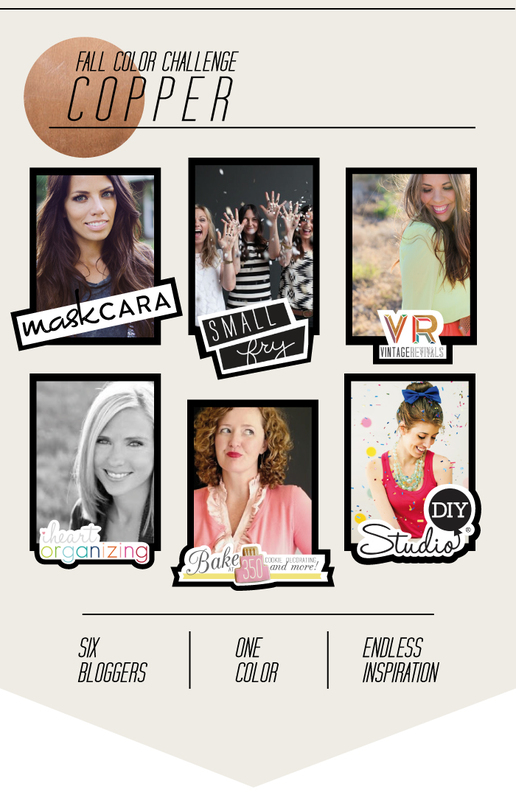 Click right on the images to see how they interpreted our color challenge! i love the idea of painting a pumpkin so i don’t have to carve one this year! Love them all but I just adore that copper sprayed one, such a great color that I never think to use. Thanks for the inspiration ladies!